The ban prohibits the use of smokeless tobacco on all ball fields where professional, collegiate, high school or amateur sports are played. Violators will face a $250 fine. Aside from the fine, Fenway will be riddled with no dipping signs as a result of the ban. Signs will be posted in "dugouts, bullpens, training rooms, locker rooms, press boxes, television and radio broadcast booths, and bathrooms throughout the sports venues." 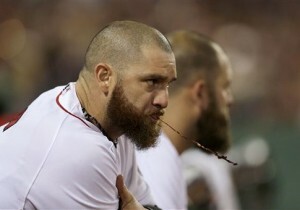 Boston Red Sox Manager John Farrell has called chewing tobacco a baseball "tradition," and slugger David Ortiz dips every time he steps up to the plate. Mayor Marty Walsh said he signed the ban "for the children."